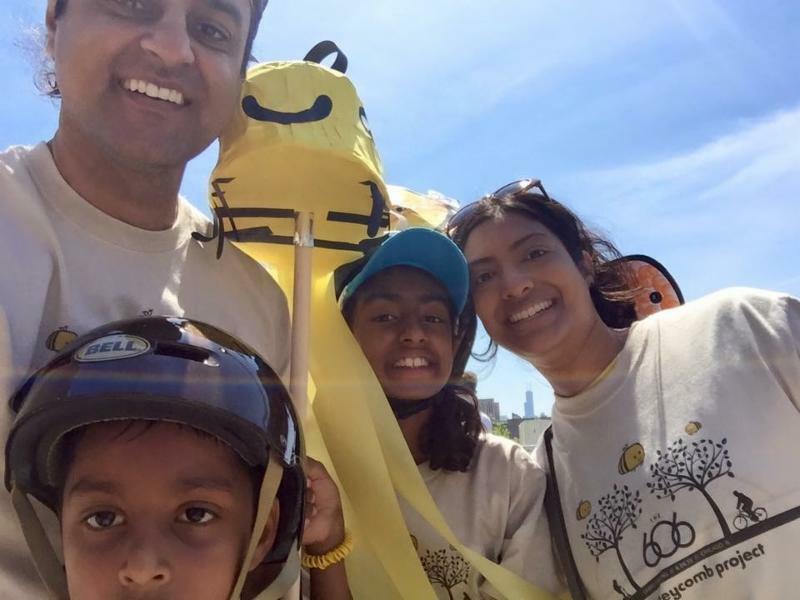 Despite working in the nonprofit sector for most of her professional life, Sharmila says “it wasn’t always as easy to know when and how I could involve my family in a diversity of experiences, and with other families. She appreciates Honeycomb because “all these opportunities in one place, vetted and organized to meet the needs of whomever may be seeking. I wouldn’t have to email or call several groups or craft our own agenda.” She immediately forwarded the site around to friends and family. The Thakkar family enjoys reviewing the monthly events email with their kids and figuring out which activities to do. “It’s also a great way to start conversations and learn more about our communities with our children first hand.” Sharmila said. In addition to participating with their family, both kids rallied their friends and classmates this fall to volunteer with Honeycomb. This spring, Anika is planning her own community-based project with her Girl Scout troop to improve the environment (and their plans are ambitious!). Outside of volunteering with Honeycomb, the Thakkar family enjoys spending quality time together playing tennis, cooking, hosting family dance-offs and movie nights. Anika and Shiv are currently training to achieve their black belts in tae kwon do.